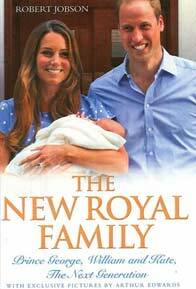 The first book featuring "The New Royal Family" - The Duke and Duchess of Cambridge and royal baby Prince George - by best-selling author Robert Jobson has been published by John Blake priced £12.99 and is available now on Amazon.co.uk. 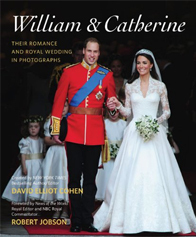 As well as a history of the young couple's relationship, this in-depth book chronicles the next chapter of this modern day fairytale and is packed with fascinating insight and analysis and beautiful photographs by the most celebrated royal photographer of the age Arthur Edwards MBE. This year Her Majesty Queen Elizabeth II is celebrating her Diamond Jubilee alongside her 60 years as Head of the Commonwealth. 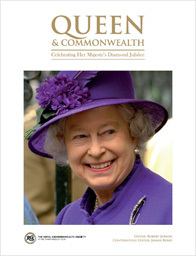 To help commemorate this momentous occasion, the Royal Commonwealth Society is publishing Queen & Commonwealth, reflecting on the past 60 years of the Queen's remarkable life and her role as Head of the Commonwealth. Edited by Robert Jobson, royal commentator and New York Times best-selling royal author, and Jennie Bond, former BBC royal correspondent, this classically printed, lavishly illustrated publication is the perfect gift for every royal enthusiast. To order copies please click below. 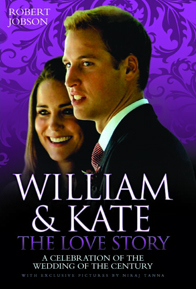 This is a book in three parts: it will look at Prince William and Catherine s lives prior to their engagement, the announcement and events leading up to the wedding and the wedding day itself. Photographs will include crowds lining the parade route, celebrities inside Westminster Abbey, people watching the wedding around the world and the newlywed kiss . An afterword will recap the day, as few events capture global imagination like a British royal wedding. This is the perfect title for the many people fascinated by the pageantry and fairy-tale romance of William and Catherine s big day. The true insider account of the relationship which has defined the 21st century monarhcy. He is the confident young Prince who is the future of the Royal Family. She is the royal bride who is thoroughly modern and has confounded all the stereotypes of how the future Queen Consort should be. Packed with fascinating anecdotes, sharp analysis and exclusive photographs, this brilliant new book reveals the secrets of the young couple's fairy tale royal romance. They have become an item in an age which holds many new challenges for royalty and their story includes the complete guide to what the future holds for this new royal double act. Critically acclaimed royal author Robert Jobson chronicles the future king's relationship with his beautiful middle-class English bride - from their first encounter at university to her becoming his bride and future Queen. The result is a comprehensive and intriguing insight not only into the romantic life of a Prince but also a critical expose of the inner workings of the evolving monarchy and its determination to win renewed respect in the hearts and minds of the British public. 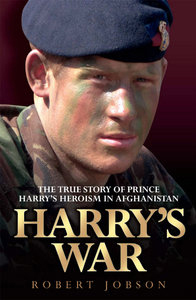 Harry's War reveals the true story of the soldier prince's heroism in Afghanistan. The book, the first serious solo biography about the Prince, gives a fascinating insight the third in line to the throne. It explores how he developed from cheeky schoolboy who was forced to cope with the sudden, tragic death of his mother Diana, Princess of Wales to rebellious teenager who fights to achieve his ambition to become a front-line soldier fighting for Queen and country in one of the most dangerous places on earth. This is the definitive inside account of how William's love affair with an ordinary middle class English girl will reshape Britain's monarchy into a 21st century institution. Defined by the errors and scandals of the past, William can - some say must - now pursue a relationship where love and duty are entwined. This book tells the story of William's transition from adolescent, grieving the loss of his beloved mother Diana and coming to terms with his father's love for another woman; to cool royal icon and self-possessed young man, confident and desirable as a uniquely eligible young man. For the first time this book chronicles his relationship with Kate Middleton - a partner who bucks all historic trends - from their first encounter at university in Scotland to her being strongly tipped as the next royal bride, and future Queen Consort. 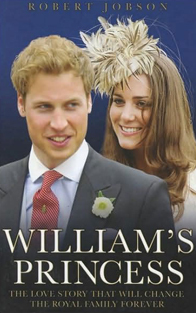 It details how William has been shaped by the failures of past and current heirs to the throne - and how in the figure of Kate he has reconciled the conflicting pressures he faces in choosing the right bride. The result is a comprehensive and fascinating insight into not only the romantic life of a Prince, but an expose of the inner workings of the evolving monarchy and its fight for renewed respect in the hearts and minds of the British public and the world. This book became a Sunday Times and New York Times bestseller with over 60,000 copies sold in hardback and was published to a storm in the media. One of the most controversial books of 2002. 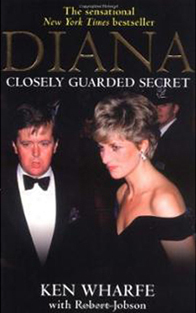 As a member of Scotland Yard's elite Royalty and Diplomatic Protection Department Inspector Ken Wharfe was personal protection officer - in other words bodyguard - to the late Diana, Princess of Wales during the years that saw the final breakdown of her marriage and her separation from Prince Charles. In that time, he became a close friend and trusted confidant who shared her most private moments. His intimate first-hand account provides an affectionate if not always uncritical, insight into the complex, troubled, but ultimately fascinating woman. Packed with anecdotes this extraordinary account is one of the most intimate portraits of Diana to date. It seems almost unbelievable that 31 August 2007 marked the tenth anniversary of the tragic death of Diana, Princess of Wales. In the years that have followed that devastating tragedy, there have been several attempts to rewrite her history, or even to portray her as something other than what she was. In addition, there have been extravagant accusations and conspiracy theories about her fatal accident, all adding to the fog of myth and supposition that has gathered about her memory. Here is the authentic voice of someone who played an important role in Diana's life, becoming a friend and confidant not only to her, but to her sons as well. It is the voice of a man who is, above all, an exceptionally perceptive observer of the extraordinary events he watched unfold around the Princess during what was perhaps the most crucial period of her life. Robert Jobson was commissioned by Century, Random House to assist with the writing of the memoirs of George Cross winner Royal Marine Lance Corporal Matt Croucher. 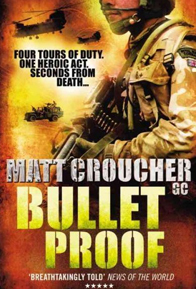 The book - Bullet Proof - is due out in autumn 2009 and is widely tipped to be a top bestseller. Jobson said: It has been an honour to get to know and work with a real life hero and assist him in the telling of this truly remarkable story. Matt is an inspirational individual who was quite prepared to make the ultimate sacrifice to save his comrades. His experiences as a front line marine are truly amazing. Matt grew up in Solihull and joined the Royal Marines aged 16, passing through the legendary 32-week training programme and into 40 Commando despite a series of injuries. He served two tours with the Marines in Iraq before becoming a reservist and returning to Iraq as a private security contractor with the United Nations. He re-joined the Royal Marines for the ultimate challenge of a tour of duty in war-torn Afghanistan in September 2007. Five months later he faced down death by diving on a tripwired grenade to save the lives of his men. Awarded the George Cross, his incredible story of heroism has features in newspapers, TV and radio shows around the world. AFGHANISTAN, FEBRUARY 2008: in an out-of-control, dangerous country torn apart by war, littered with Taleban guerrilla forces and thousands of miles from home, Lance Corporal Matt Croucher, a Royal Marine with 40 Commando, accidentally activates a grenade mine whilst on a covert night patrol behind enemy lines. With only a split second to react, Croucher's instincts kick in and he throws himself onto the grenade, reasoning that saving the lives of his three comrades was worth the likelihood of losing his own. Miraculously, and against all the odds, Croucher survived, and mere hours later was taking part in a ferocious gun battle against local insurgent fighters, demonstrating a raw, unique courage and devotion to military duty that would later see him awarded the George Cross - a distinction bestowed only on those who perform acts of the greatest heroism or of the most conspicuous courage in circumstances of extreme danger. Croucher's George Cross would make him famous around the world. But his story is much more than just one heroic act in isolation. His is a life of bullets, blood and loyalty, and of lives saved and lives taken. From a raw recruit at 19, when he was one of the first 200 Allied soldiers to invade Iraq back in 2003 as part of an elite force of British Marines and US Special Forces, through to his second tour of duty in 2004, when he suffered a fractured skull following a roadside bomb attack, only to return to action just a week later, and then being thrust into hellish Afghanistan, Croucher has seen vicious fighting, intense gun battles, roadside ambushes, and witnessed the death and injury of close colleagues on an almost daily basis. This is his incredible story: a searing, vivid, non-stop account of one man's heroism and courage under fire, in the most gruelling combat environment since the Second World War.